Our 10 Minute Decorating group is back this month with fast and easy spring ideas! I love spring, everything looks so fresh and green and colorful. 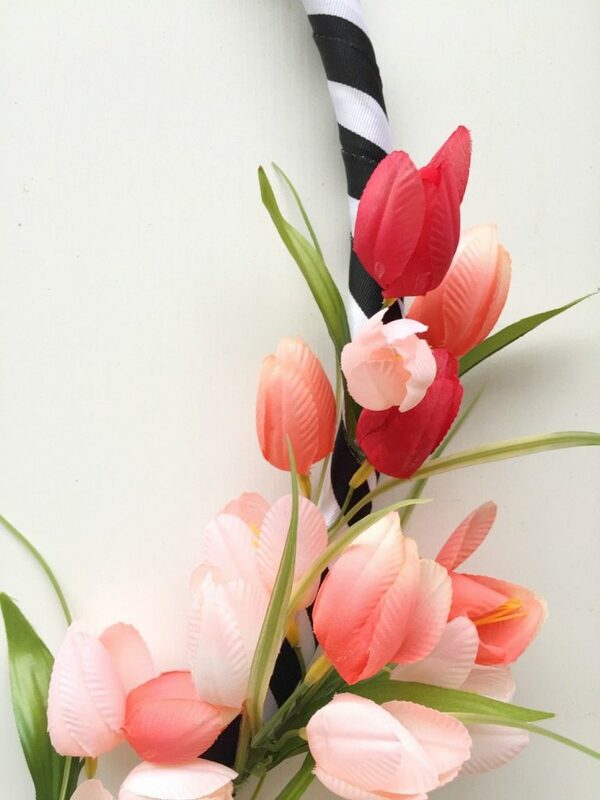 I couldn’t resist making this easy tulip wreath. You only need a few items and a little time to make one. Be sure to check out all the fabulous and fast spring decor ideas from my friends at the end of the post. 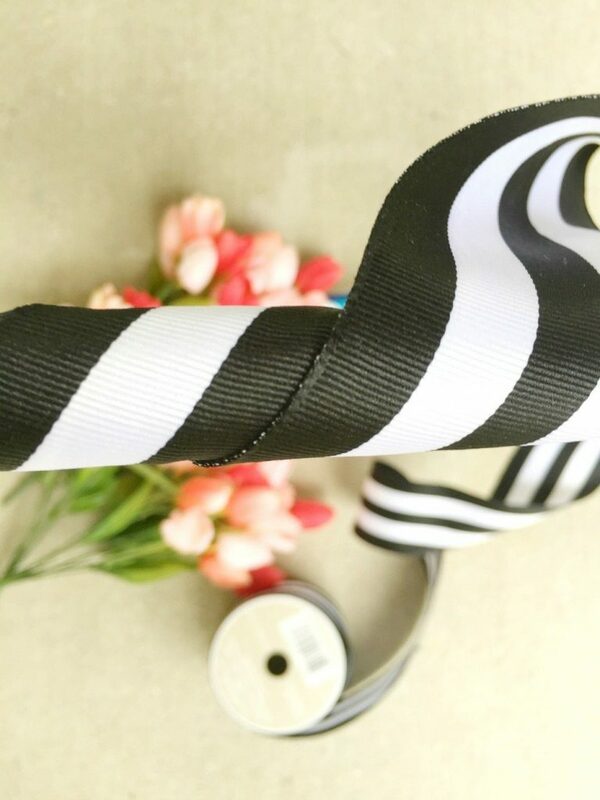 Wrap ribbon around hula hoop. To start add a little hot glue to hold the beginning and end, add a little hot glue along the way to keep it secure. 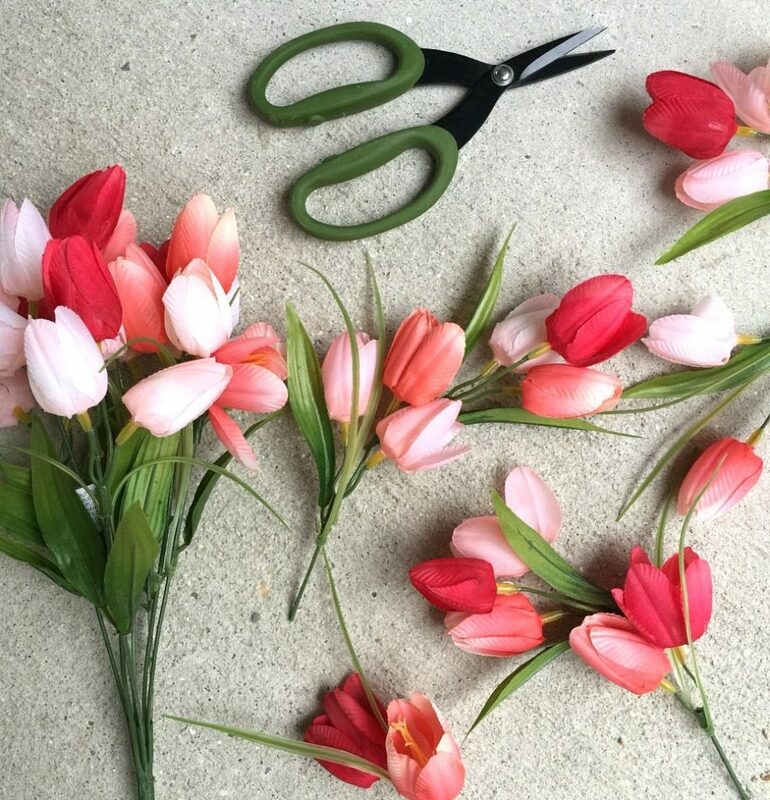 Using the wire cutters, cut your flowers off, short enough to manage. Hot glue the flowers to the hula hoop. Beautiful, simple projects are my favorite. I’m an instant gratification crafter, give me three or four craft ingredients and I’m happy. I could never sew a quilt or knit a sweater, too time consuming. I love a project that you can start and finish in ten minutes or so. You can find hula hoops and ribbon anywhere. The next time you’re out grab these few ingredients and get creative. I have so many colorful floral ideas running around in my head for this, in fact I bought hydrangeas and green ribbon, you never know when the mood might strike to make another one! This version of the hula hoop wreath is quick and easy! 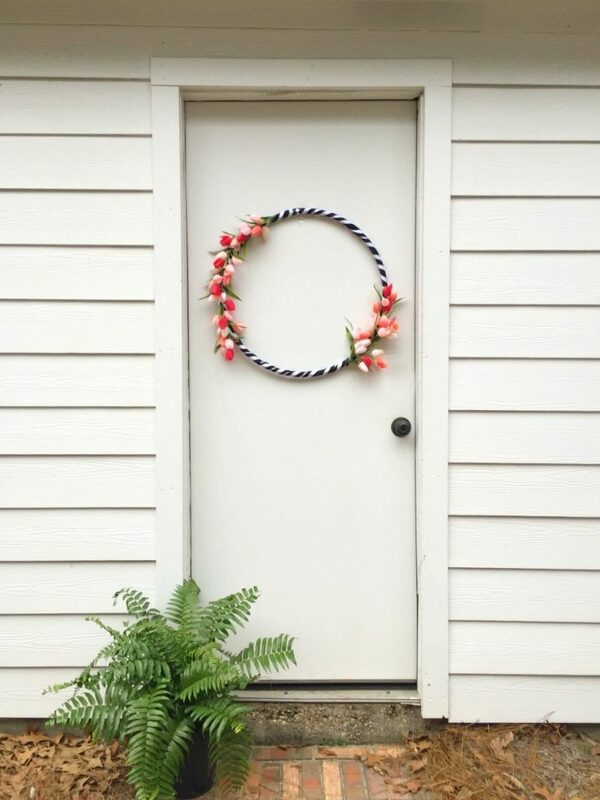 You can decorate your front door today! It would perfect on the wall in your house or add one to the mantel. 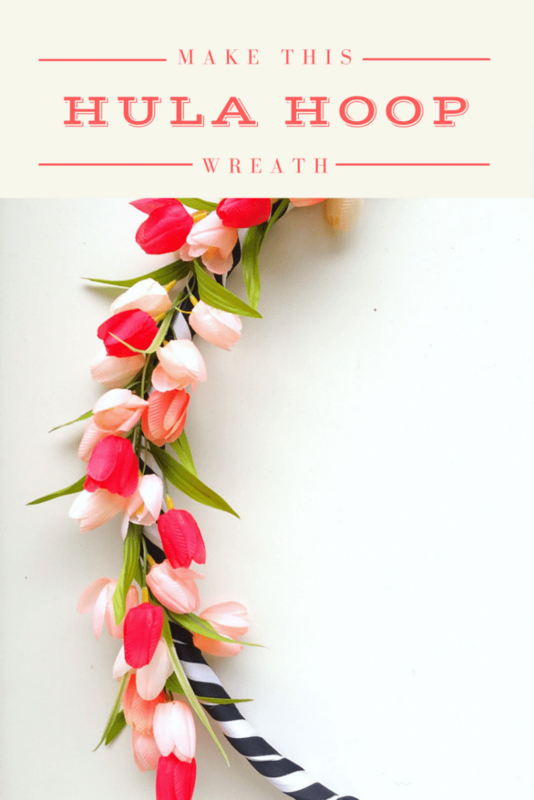 Be sure to tag me – Refresh Restyle Facebook or Refresh Restyle on Instagram if you decide to make a tulip wreath, I’d love to see it! What a cute and easy decorating idea! Love this! Super pretty and the color combination is great. Visiting from Craft Frenzy Friday party. Lovely diy and so cute result! LOVE IT. Thanks for sharing! 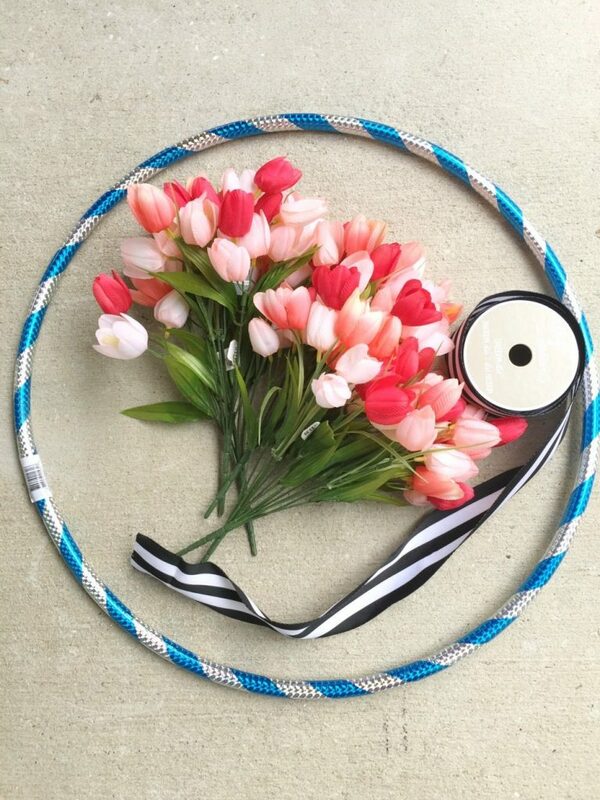 Your Hula Hoop Spring Wreath is sooo darn cute! 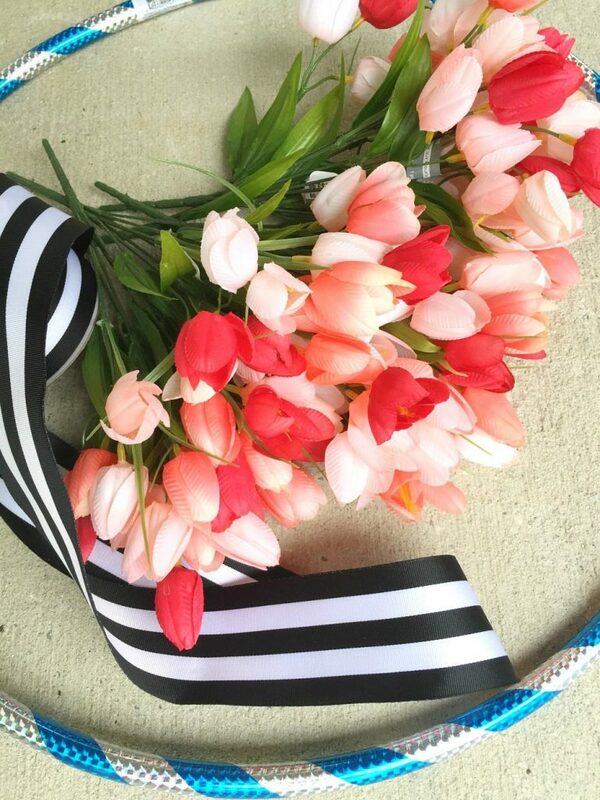 I love the black and white ribbon with the tulips. Super creative and so cute! 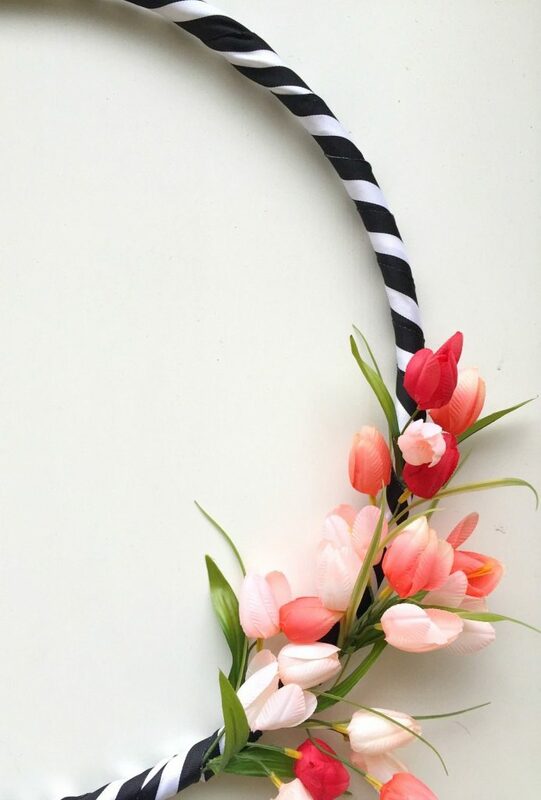 I love how the tulips pop against that awesome black and white ribbon. Everything looks better with black and white stripes! 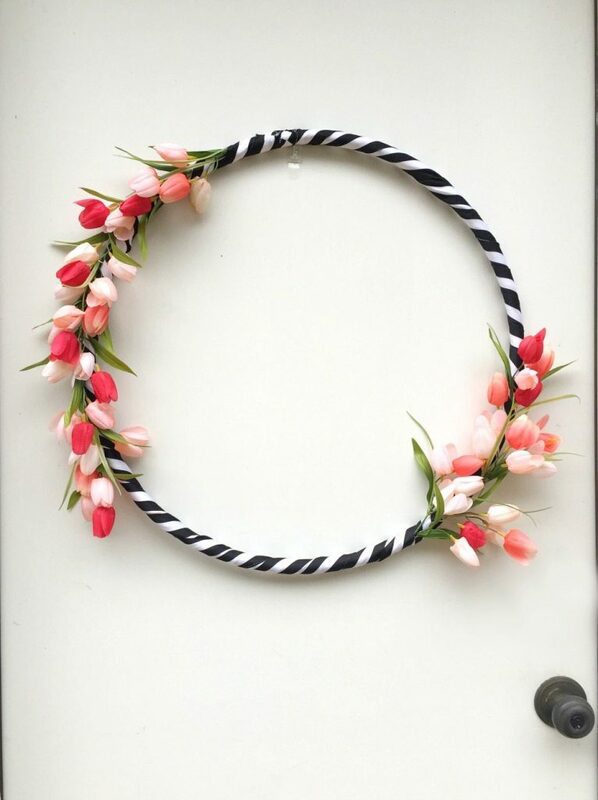 I think this wreath needs to be in my laundry room with my black and white striped appliances! Pinning! Thanks Jeanie, it would look great in your laundry room!! I agree black and white stripes are the perfect match for everything!! 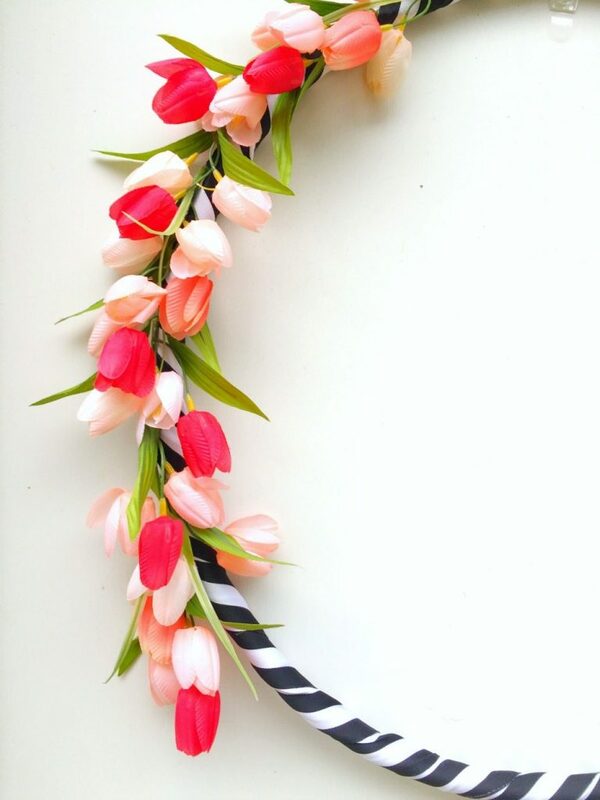 I love love love this darling, sassy spring wreath! You are so creative!!!!! how cute it that!! I need one of those for my front gates! Hey Laura, yes you do need one for the gates! Thanks!